In this article I want to share with you the tips and tricks I used to triple my AdSense earnings in one month. Daily Blog Tips and Daily Writing Tips are my largest websites in terms of traffic. They are getting close to one million monthly page views (combined). Despite that I was not using AdSense on them, mainly because the direct sponsorship model was working relatively well. Some months ago I decided to load some AdSense units on the sites, however, and the results were very positive. Around 70% of the boost I generated to my earnings came from these two sites. At the same time I managed to keep the other monetization methods working fine, and no reader ever complained about the new ads (more on that later). Even if your blog is already making money with direct sponsors and affiliate marketing, therefore, you could still manage to increment your earnings by strategically adding some AdSense units. As many webmasters do, I have a bunch of small websites scattered around the web. Some are on free hosted platforms like Blogger, and others are self hosted sites that I abandoned along the way. Most of these sites still get traffic, however. Not much, but combined the numbers get decent. I figured that adding AdSense units to all these sites could yield some money, and I was right. The main reason is that, since these are abandoned sites and don’t have loyal visitors, I can place the units very aggressively. The result was a very high CTR (Click-through rate), which compensates the small traffic levels. Don’t underestimate the earning potential of small websites, especially if you are willing to place AdSense units aggressively. If you want to make money with AdSense you’ll inevitably need to use one of these units: the 336×280 large rectangle, the 300×250 rectangle, the 120×600 large skyscraper or the 728×90 leaderboard. Whenever I tried to use smaller units the results were disappointing. Even if I positioned them aggressively the CTR was just too low. All four units mentioned above can produce good results, but the best performing one is by far the 336×280 large rectangle, and that is the one I used to boost my earnings. My first trial was to place the 336×280 large rectangle between the post and the comments section of my blogs. The results were OK. I then decided to try placing them below the post titles for one week, and the CTR skyrocketed. In fact I still need to find a placement/unit combination that will beat placing a 336×280 unit below post titles. I knew this rule, but I guess I needed to test and get confirmation. The rule is: if you want to make money with Google AdSense, you must place your units above the fold. My main concern with adding a large AdSense unit right below my post titles was that some of the loyal readers could get annoyed with it. At the same time I knew that loyal readers become ad blind quite fast, and that the bulk of my money would come from organic visitors (i.e., people coming via search engines to my posts). To solve this problem I decided to display the large rectangle only on posts older than seven days (using the Why Do Work WordPress plugin). It worked like a charm, as loyal readers don’t even notice the ad units when they are browsing through my recent posts, and organic visitors almost always see the ads because they usually land on posts older than seven days. I was not sure how much money I would be able to make with AdSense for Search, but I was not happy with the search results provided by WordPress, so I decided to give it a shot anyway. 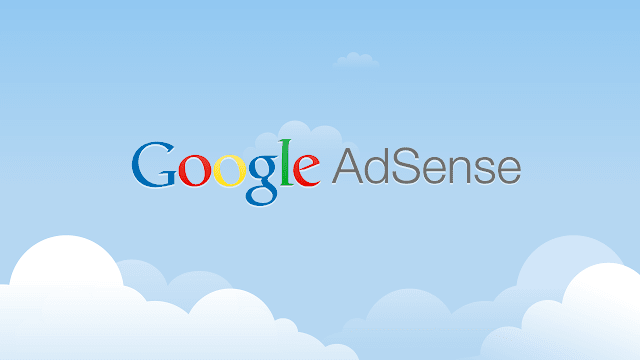 Currently I am making around $60 monthly with AdSense for Search. It is not much, but if you sum it over one year we are talking about $720. On top of that the search results are as relevant as you’ll get, so it is a win win situation. Another AdSense product I decided to try was the AdSense for Feeds one. I opted to display the ads below my feed items (you can also place them on top, but this would be too intrusive in my opinion). The results here were pretty good, both in terms of CTR and earnings. You obviously need a large RSS subscriber base to make this work, but I am guessing that even with a couple thousand subscribers you could already make $100 monthly from feed ads. Section targeting is an AdSense feature that allows you to suggest specific sections of your site that should be used when matching ads. You can read more about it here. I found that on niche and small websites section targeting can help a lot. Often times Google was displaying unrelated ads on these sites because there weren’t enough pages. After using section targeting I managed to increase the relevancy of the ads and consequently the CTRs. If you enabled both image and text ads on your units you should be able to customize the colors and fonts. I did some testing with both of these factors, and it helped to increase the numbers. Nothing dramatic, but it was definitely worth my time. You just need to track your CTR for a couple of weeks. Then change the color or font and track it for another week, seeing if you can beat the original CTR. If you can, keep the new format. If you the performance decreased, try a new color or font and track the CTR for another week, until you find the optimal combination.